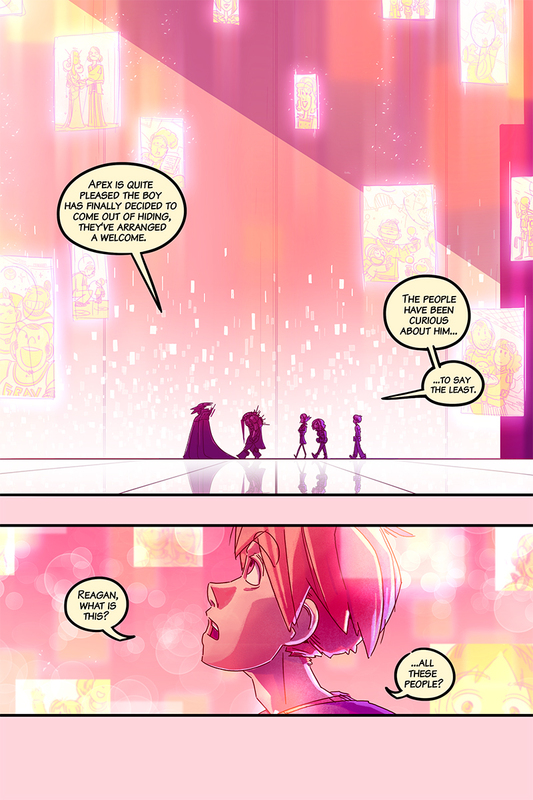 Guys we made it through the dialogue-less atmospheric pages! Back to Cael’s good times only getting better x) This coming sequence is actually one I’ve been looking forward to drawing since I started the reboot, it’s been exciting to see it *finally* coming to life! Seems a good moment to thank everyone again for the unwavering support over the years. It’s been so interesting to see the comic grow and change…how my life has affected it’s direction (and vice versa, lol) I’m happy to have struck what finally feels like a good balance to keep pages being produced without totally taking over all my freetime. -Quest update – Reach 200 pages: Objective complete. -You are now 300% more awesome. Sorry, that was too easy to let it slide. Great page, and congrats for the big 200! and thank you!! Here’s to the next 200! I love this comic and am so glad you are continuing it. The artwork is phenomenal as always keep up the great work! !